It may be the smallest national park at 22530ha, but the Abel Tasman National Park is one of the most famous national parks in New Zealand. Once again, the New Zealand scenery dramatically changes. Who would have thought that on the same island as the wintery Southern Alps there was this sunny golden beach paradise? Backpackers visiting the park enjoy exploring the coast from the water by kayak, paddle board, sailing boat, you name it! Along the way, it is not uncommon to see seals, dolphins and even penguins! On land, explore the forests and picture perfect waterfalls. Fall towards the national park by skydiving! Take on the Abel Tasman Coastal Track – one of New Zealand’s Great Walks. Gain some high speeds by mountain biking down the Rameka Track. Get on the water any way you like: kayak, paddle board, wake board, waterskis, sail boat and the list goes on! 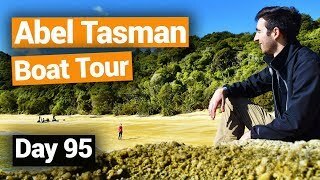 See Abel Tasman from the sky! Plummet towards the Abel Tasman’s exquisite coastline from 16,500ft. The Abel Tasman Skydive encompasses sensational views from the highest tandem skydive in the South Island. Or, if you fancy something a bit slower, go microlight flying or hang gliding. 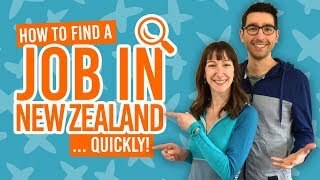 These flying activities can be done from Motueka. Other activity providers for Abel Tasman National Park are situated in the surrounding towns of the park, such as Kaiteriteri and Marahau. 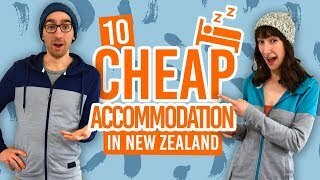 Find out more about these towns here: Tasman and Golden Bay – Guide for Backpackers. Home to one of the Great Walks, you know there are some spectacular sights in the national park. 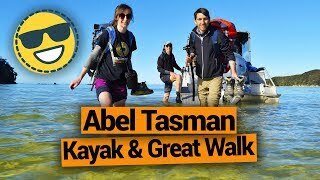 The Abel Tasman Coast Track is a 3-5 day walk. It is one of the easier Great Walks, as you don’t have to hike up many hideously steep mountains (only a couple). The walk takes you to all the highlights of the park, such as towering granite cliffs, beaches and Split Apple Rock – a boulder perfectly split down the middle. Just remember two things: book Department of Conservation (DoC) accommodation in advance and take insect repellent. People have been known to be eaten have by sandflies! That may be a slight exaggeration. If sleeping on the beach in a DoC hut or campsite isn’t your thing, although it should be because it’s pretty cool, then you can walk part of the Coastal Track in a day so you can return to the comforts of your hostel. We suggest taking the long suspension bridge on the Falls River Track, then feast your eyes on the waterfalls, streams and estuary crossings. To access the day walks, you can get aqua taxis from the nearby towns of Kaiteriteri and Marahau to get into the heart of the Abel Tasman National Park quickly. Then leave the park just as swiftly. Book your water taxi with Wilsons or Abel Tasman Sea Shuttles. Keen mountain bikers looking for another awesome New Zealand mountain to check off their list should go to the Rameka Track. It is on the steep marble mountain nestled in the inland corner of the national park. Takaka Hill is certainly hard to miss. Warm up on the shorter track of Harwood’s Hole, which so happens to have the deepest straight drop in the country. This vertical hole in a hill is a great playground for mountain bikers with a rugged landscape, crazy rock formations and forest. Take on the Rameka Track for high-speed fun. Be cautious of the dense forest with its curvy sections on narrow paths. You may also have to carry your bike across shallow rivers. Before you know it, you’ll at the bottom of the mountain and in the town of Takaka. For more information, head to Mountain Biking in Nelson Tasman. There are many ways to experience Abel Tasman’s waters. As you glide over the crystal clear sea, we challenge you to not want to jump in! Whatever water activity you do, you will be seeing the highlights of the national park. By taking kayaking tours from Kaiteriteri and Marahau, you can island hop and have close encounters with seals. Dolphins and penguins have also been known to emerge from the water next to kayaks and boats. Check out kayaking tours with The Sea Kayaking Company and Wilsons. Sailing is your more relaxing option. These trips can take you to the highlights of the national park, stopping along the way for walks and a swim. Book your trip with Abel Tasman Sailing Adventures. To do a popular New Zealand water activity, take a stand up paddle board. If you want a weird and wonderful way to play in the water, try out waterskiing, biscuit rides, banana boat rides and wake boarding! Look out for the occasional dolphin and orca regularly spotted by kayakers! Take a sailing trip from Nelson for the full Nelson, Tasman and Abel Tasman National Park tour. Fuel yourself with adrenaline by canyoning in one of the most scenic canyoning sites in New Zealand. 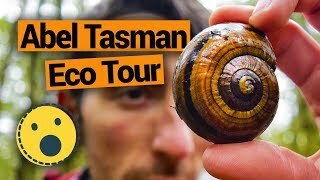 If you have heaps of time in Abel Tasman National Park, volunteer for the Department of Conservation to help preserve the park. You’ll have one of the nicest offices in the world! 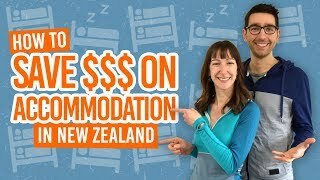 Where to stay near Abel Tasman National Park?